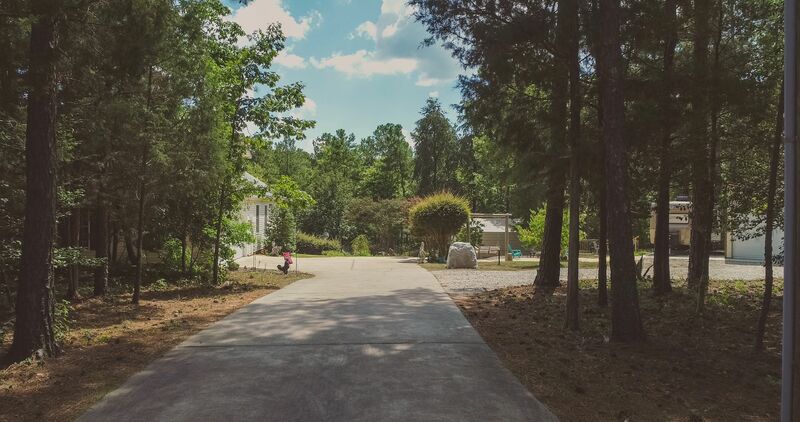 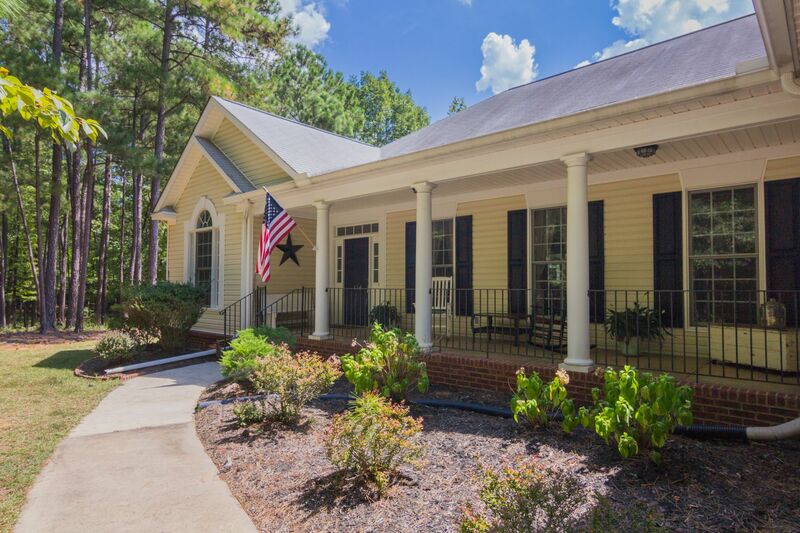 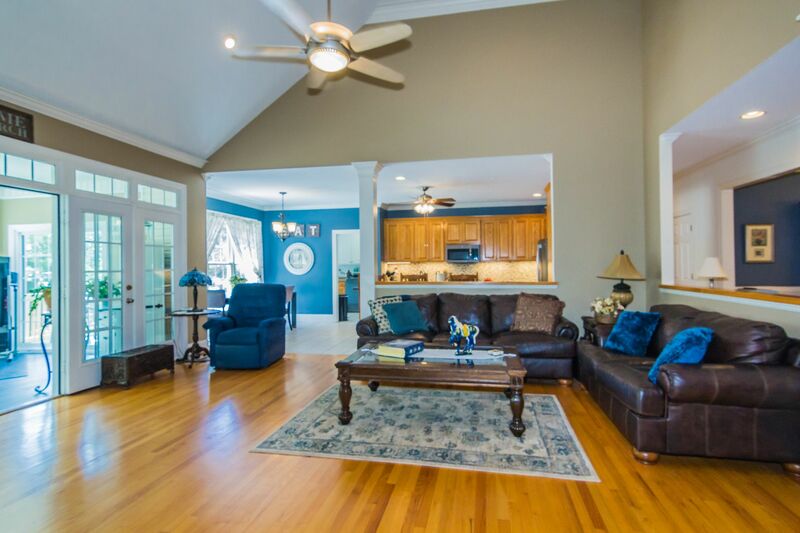 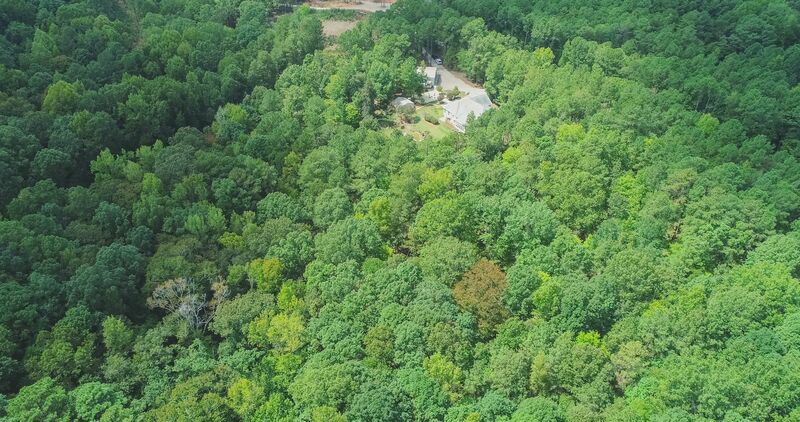 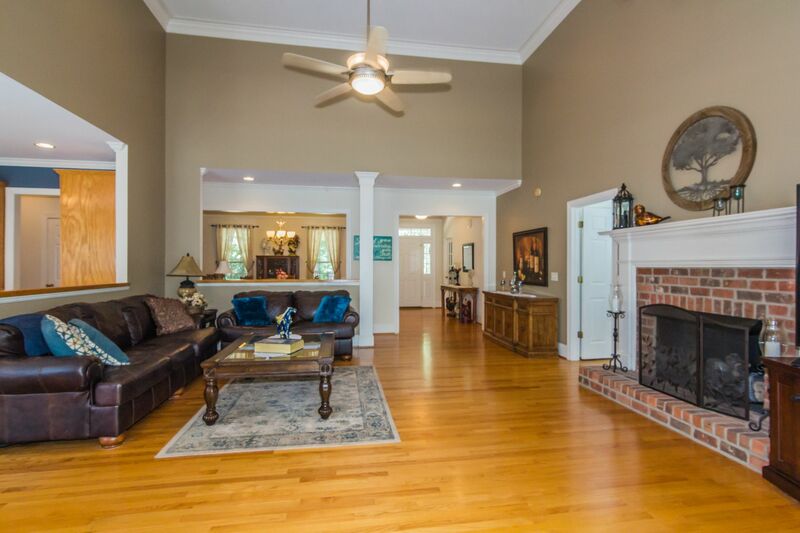 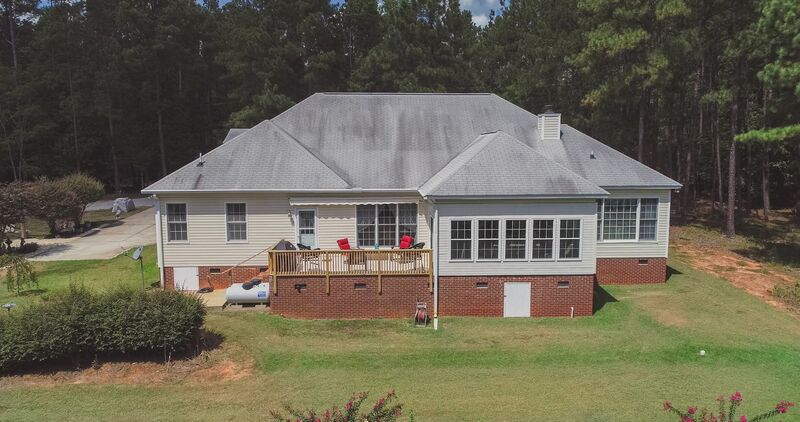 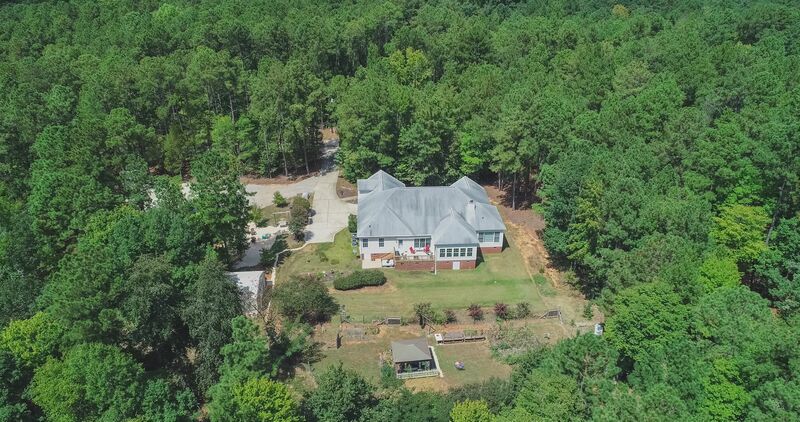 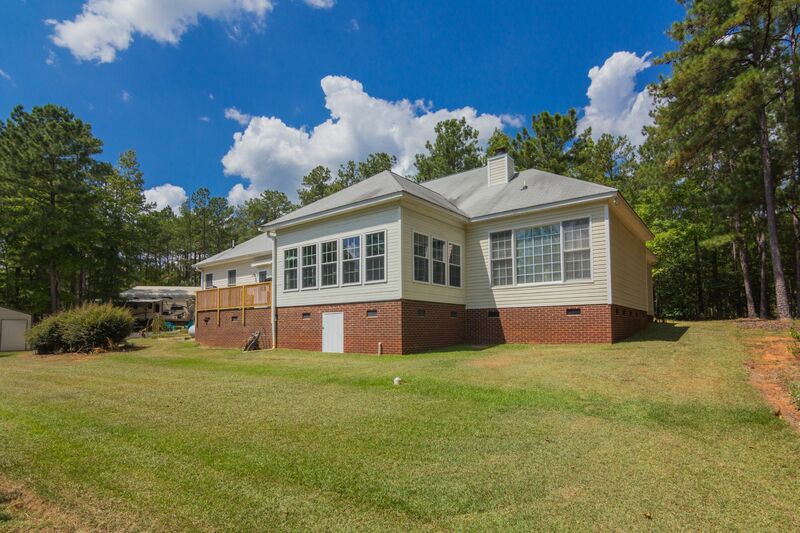 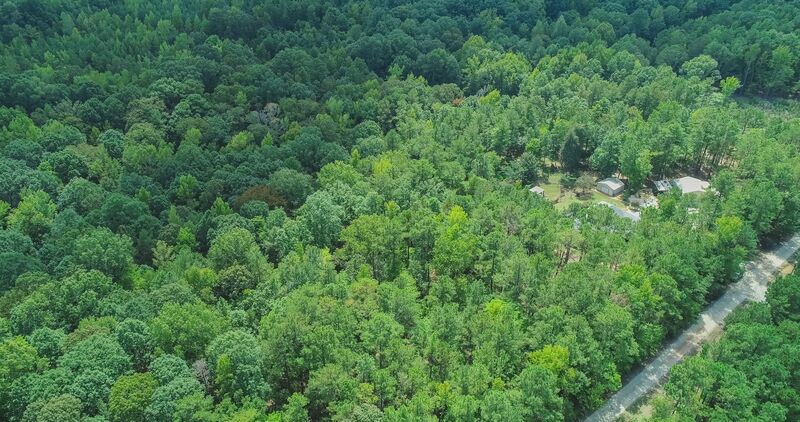 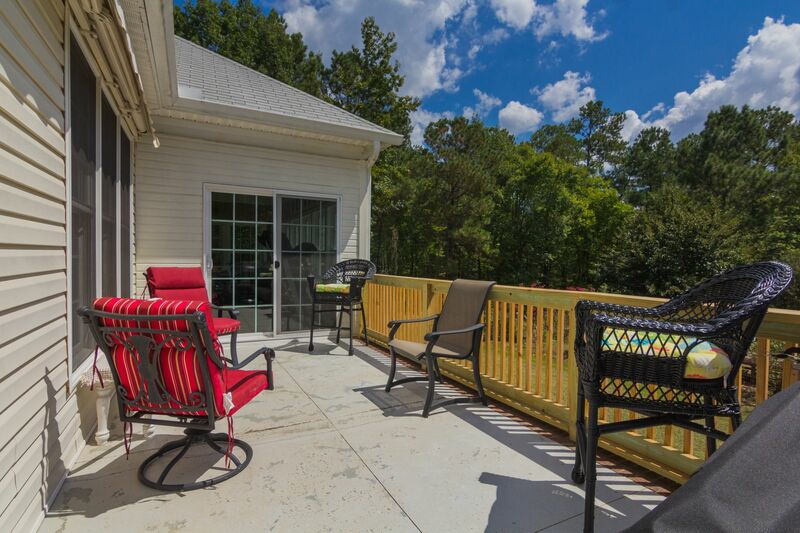 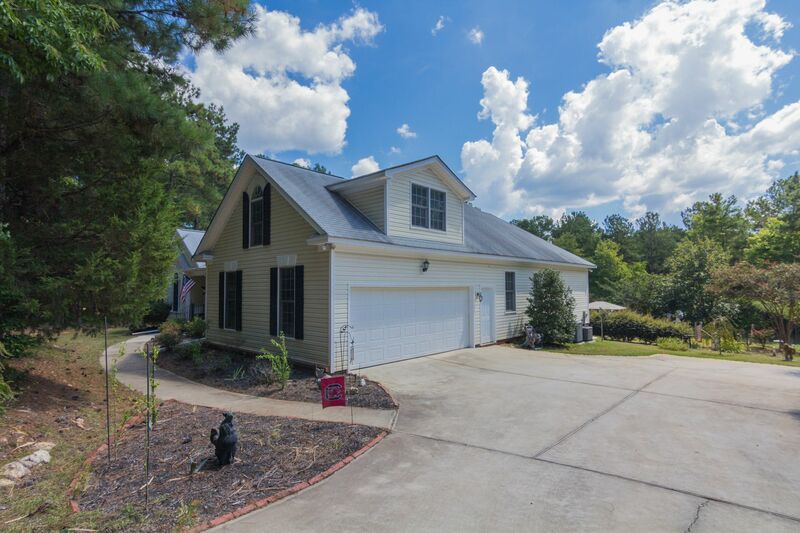 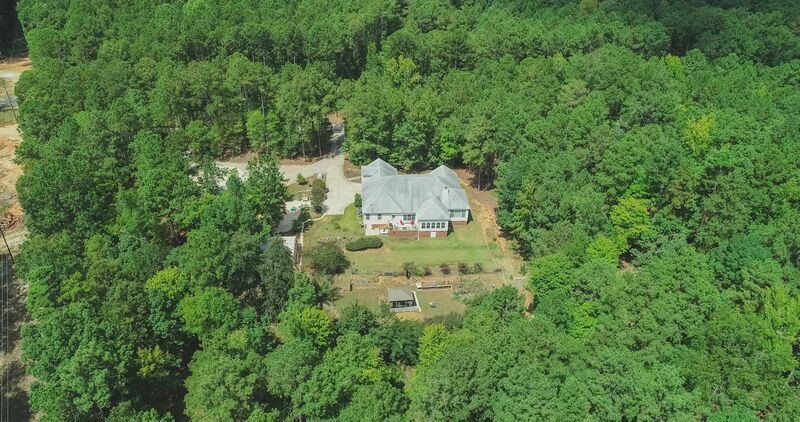 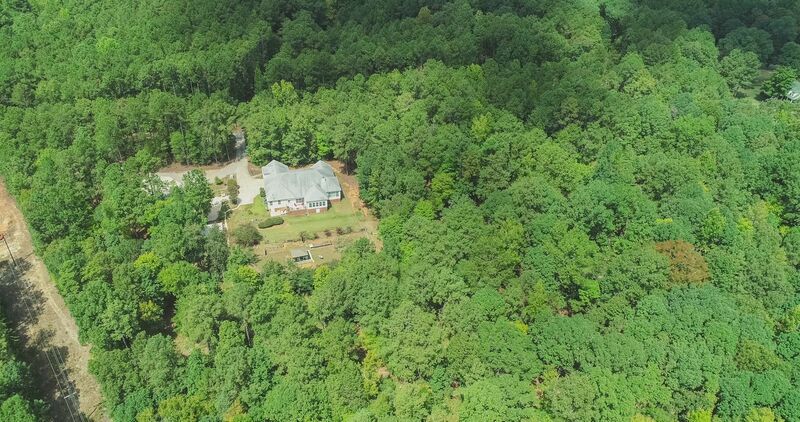 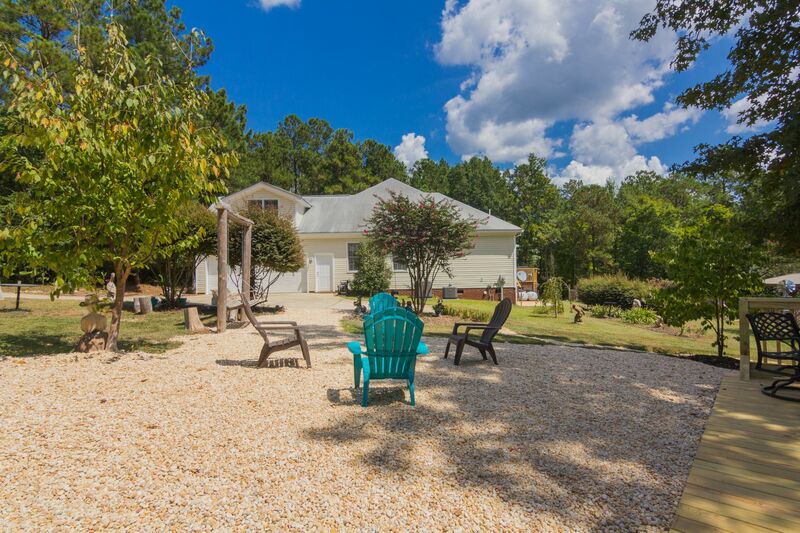 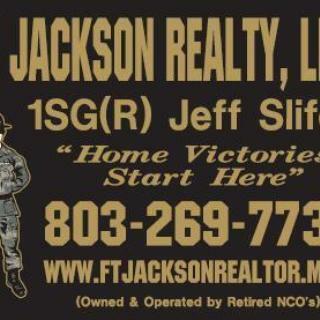 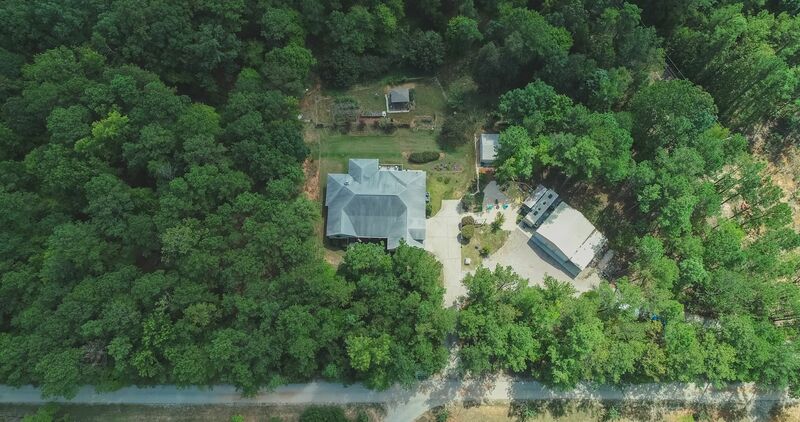 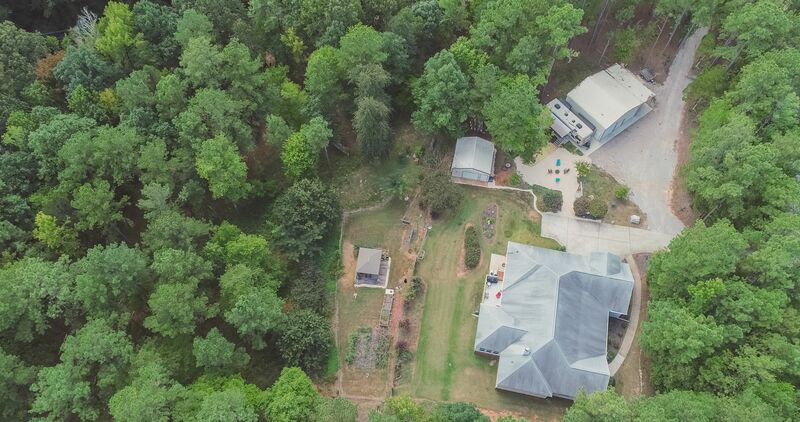 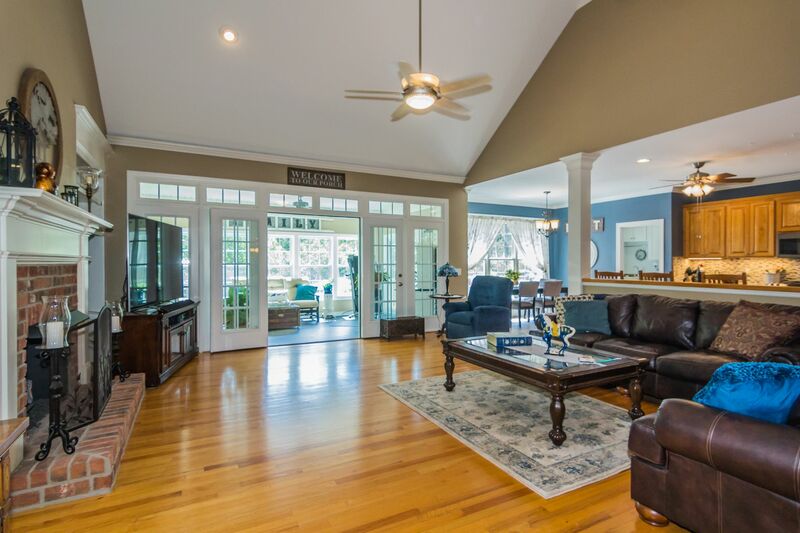 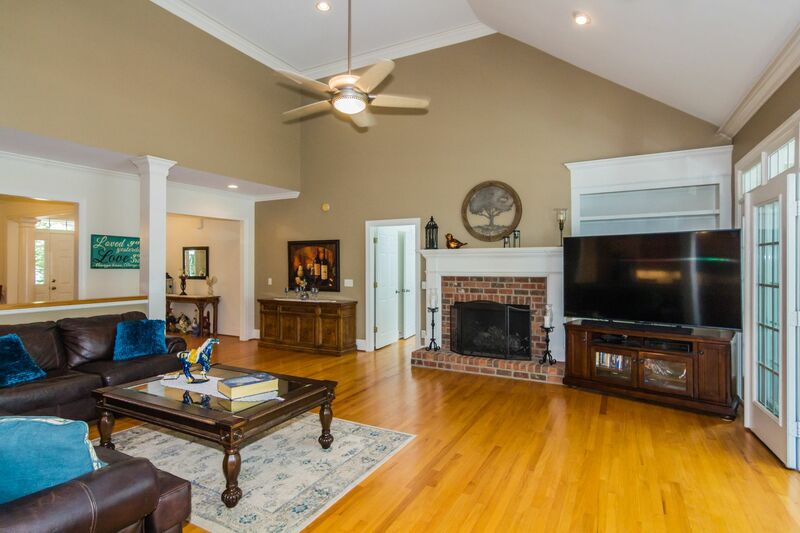 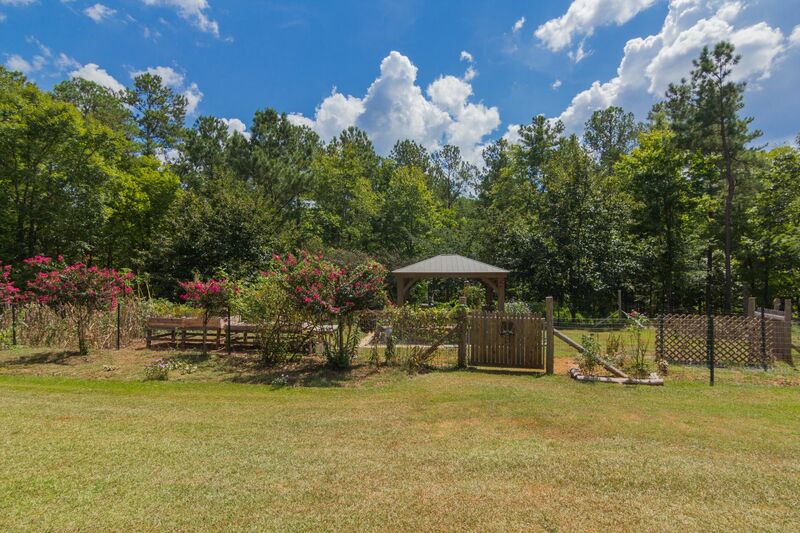 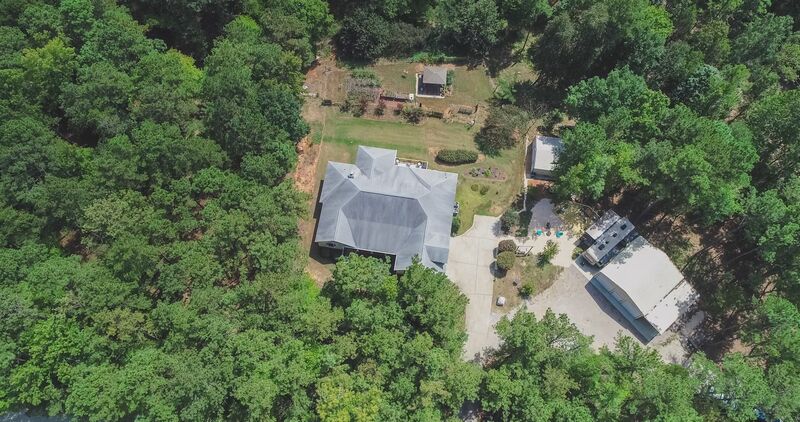 4 Bedroom home with 7 acres in Chapin! 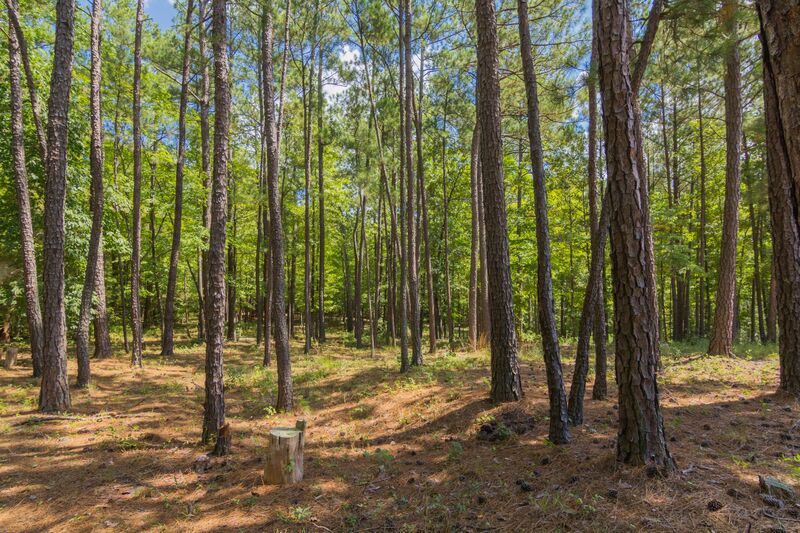 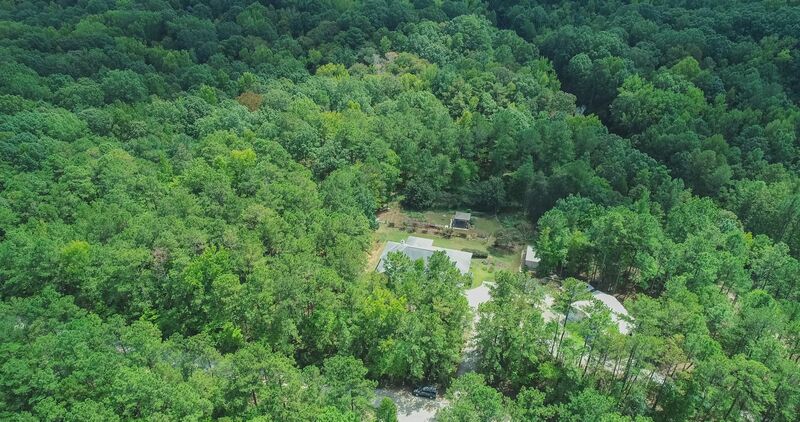 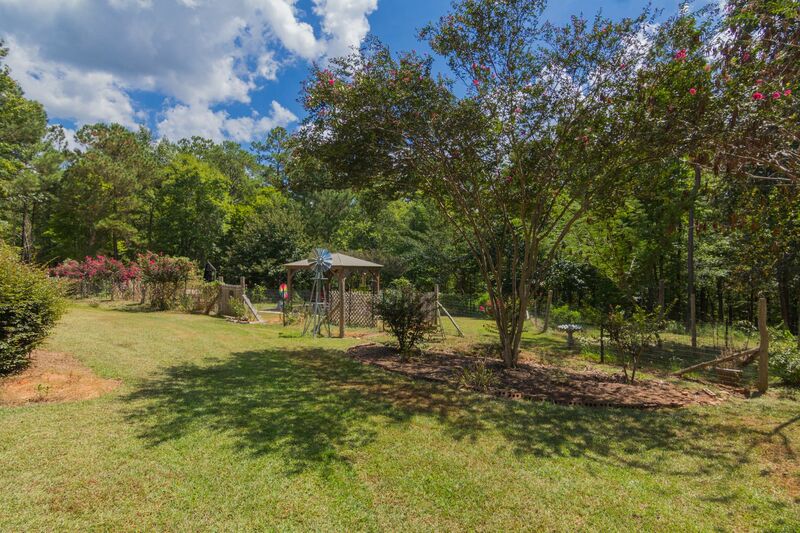 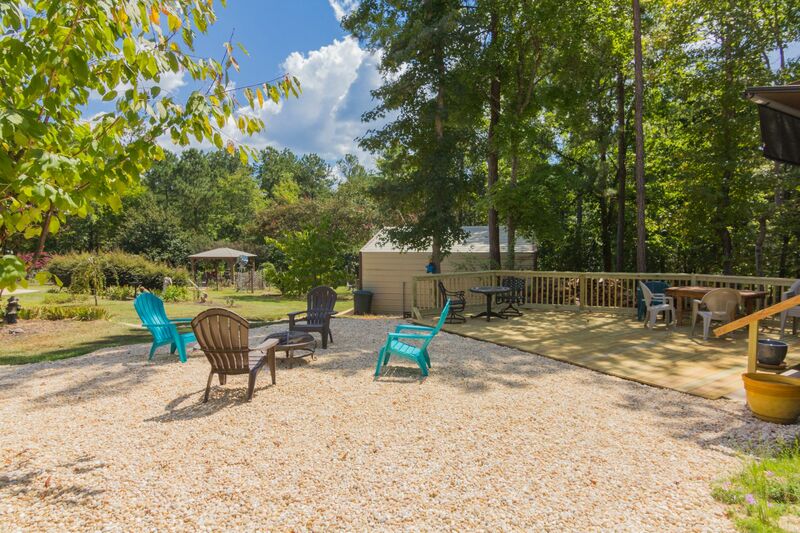 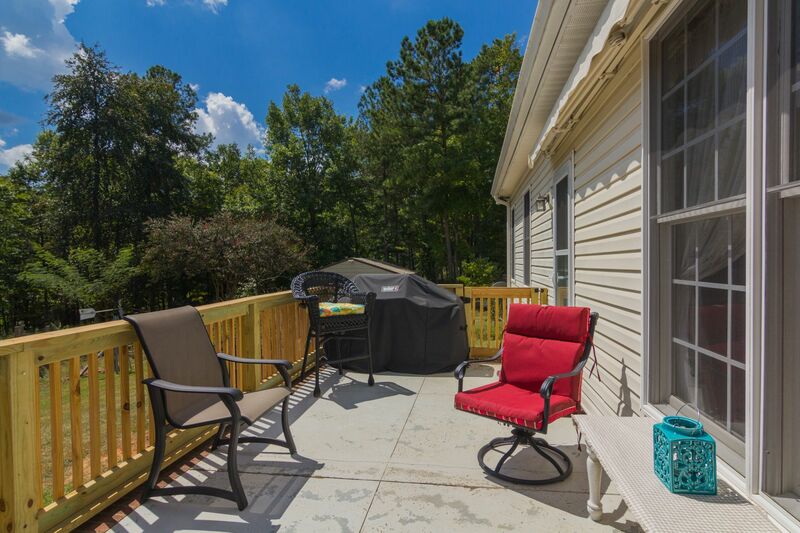 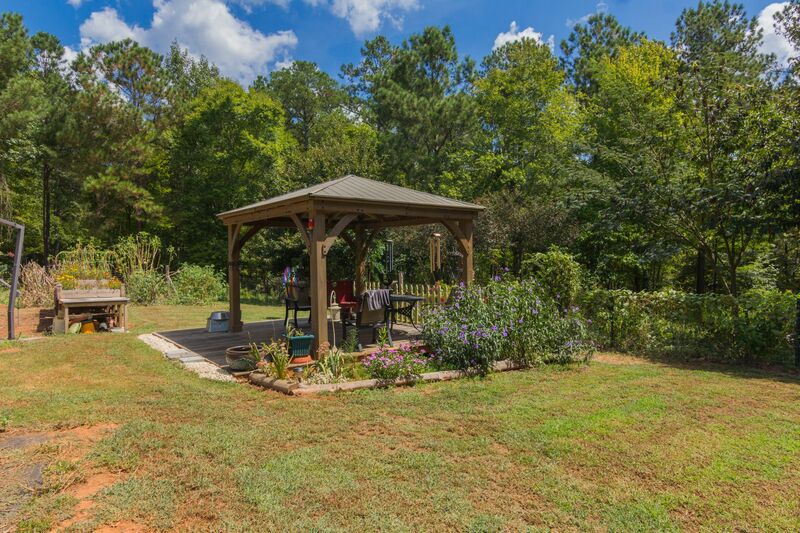 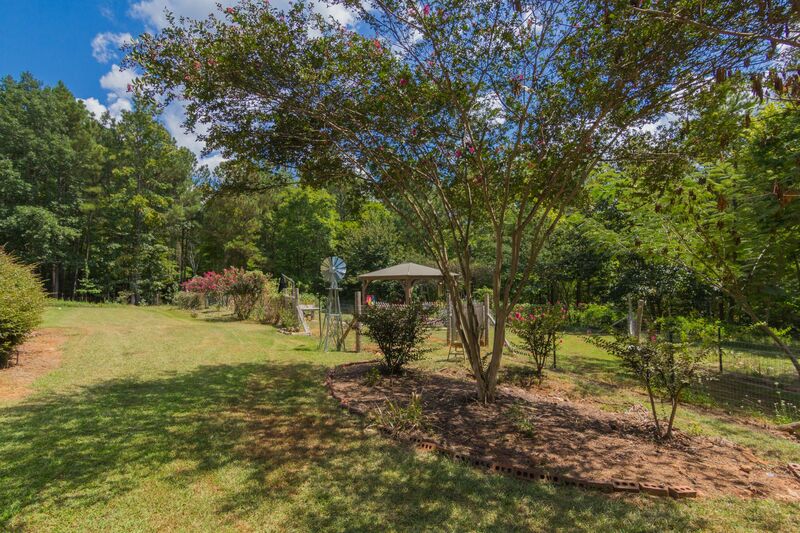 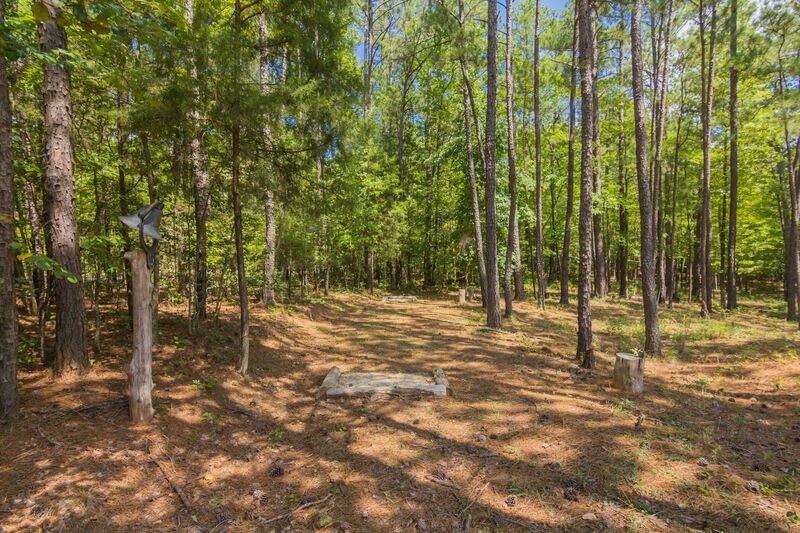 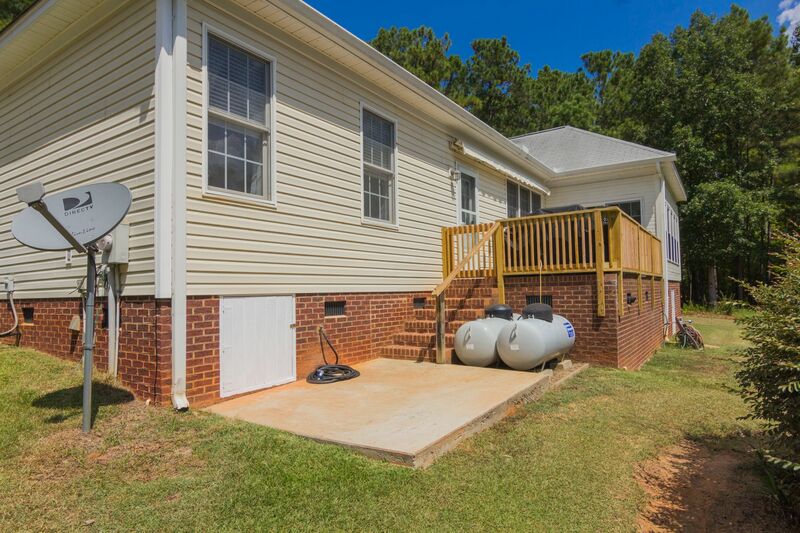 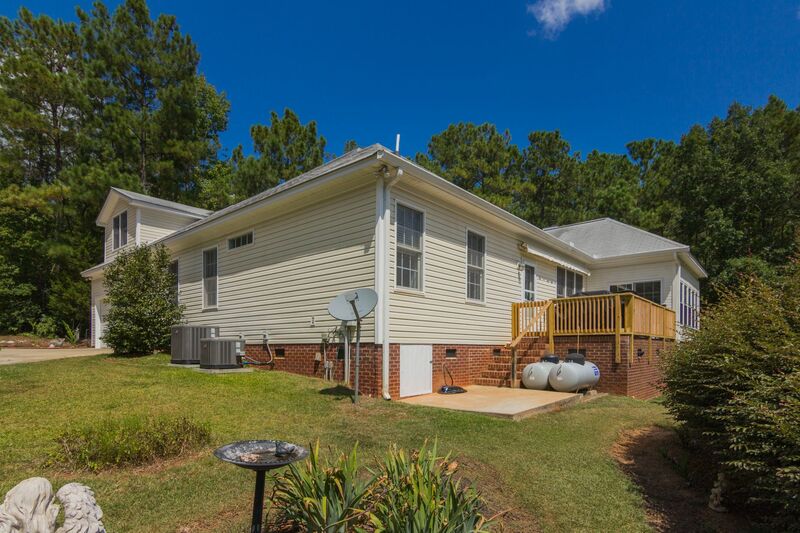 Peaceful country setting on almost 7 acres enjoy agricultural tax bracket due to heavily wooded area just 1 mile from Chapin SC town center. 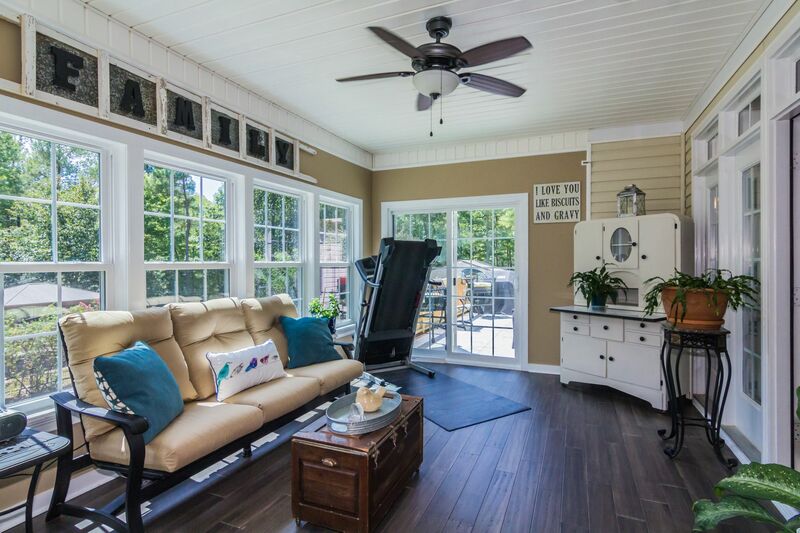 New updates including on demand hot water system, water treatment system, new heat pumps systems for efficient heating and cooling bills. 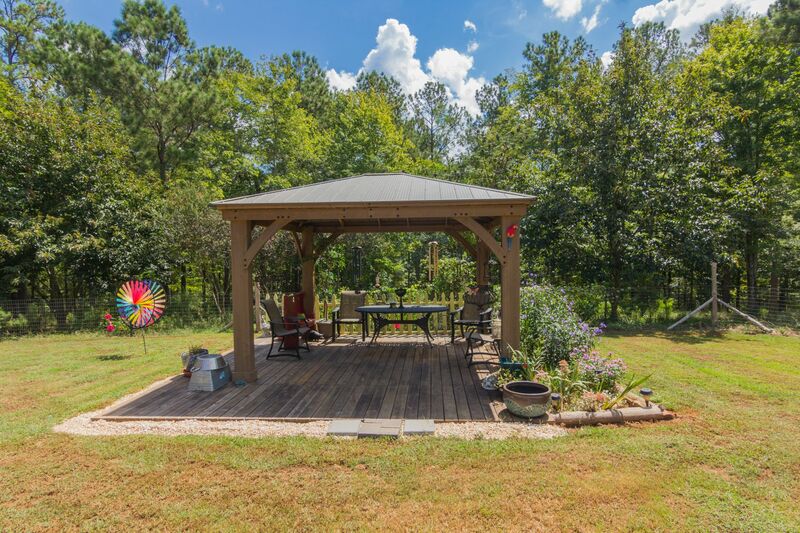 Large fenced in garden with 10 X 12 new gazebo on a 16 X 16 deck. 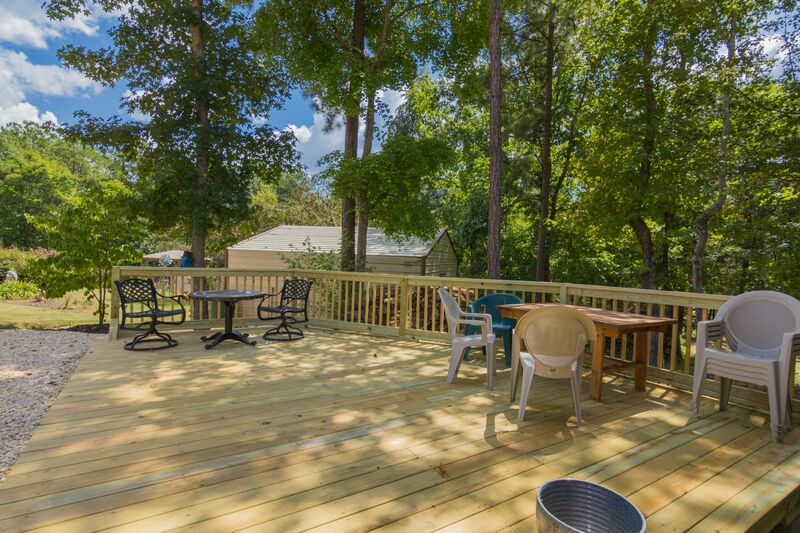 Large 16 X 20 deck with a large fire-pit area. 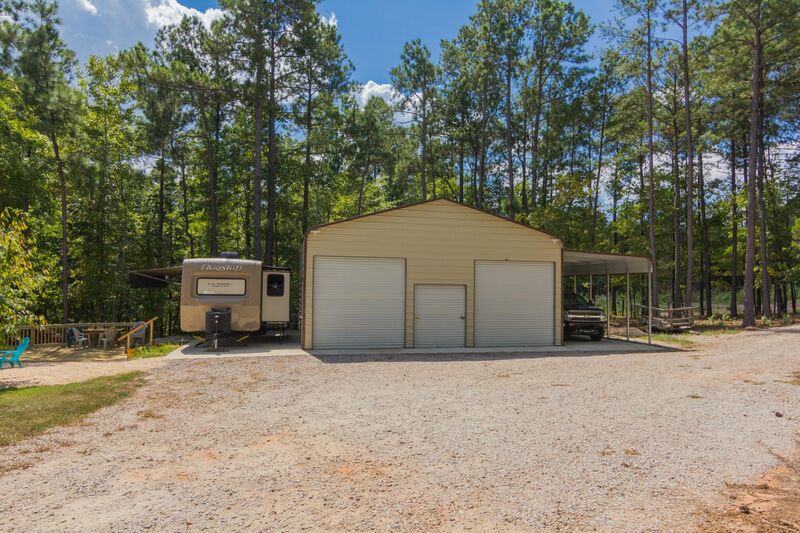 Two out buildings including a 55 X 30 ft concrete pad with a new 30 X 30 medal garage with side roof perfect for car, boats trailers parking. 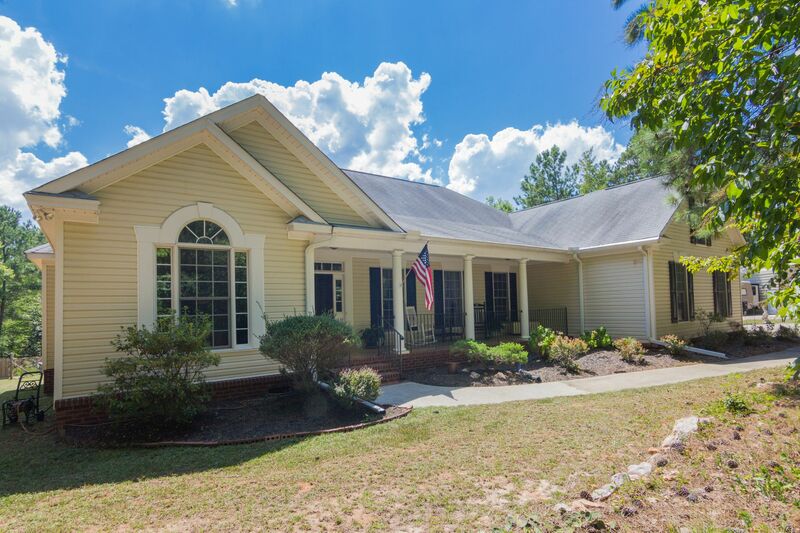 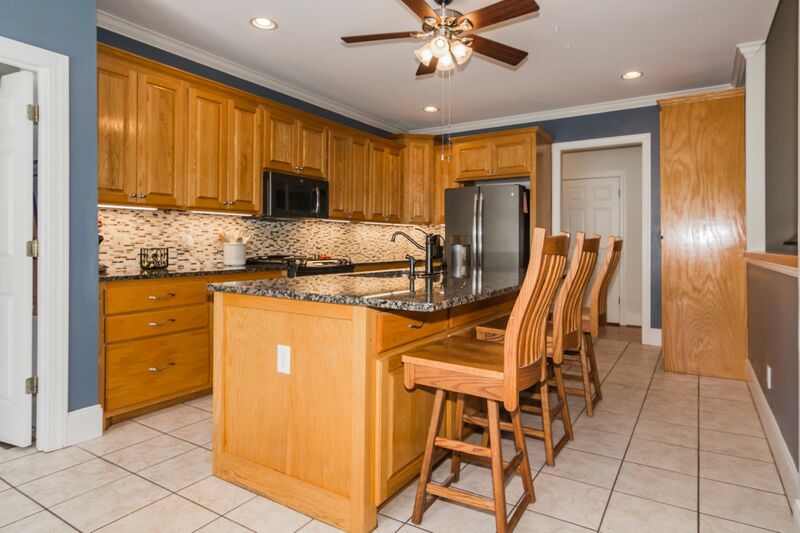 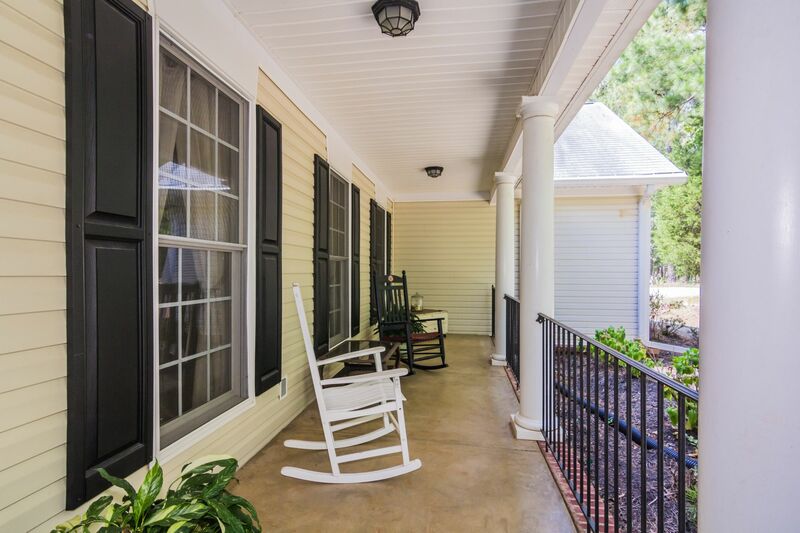 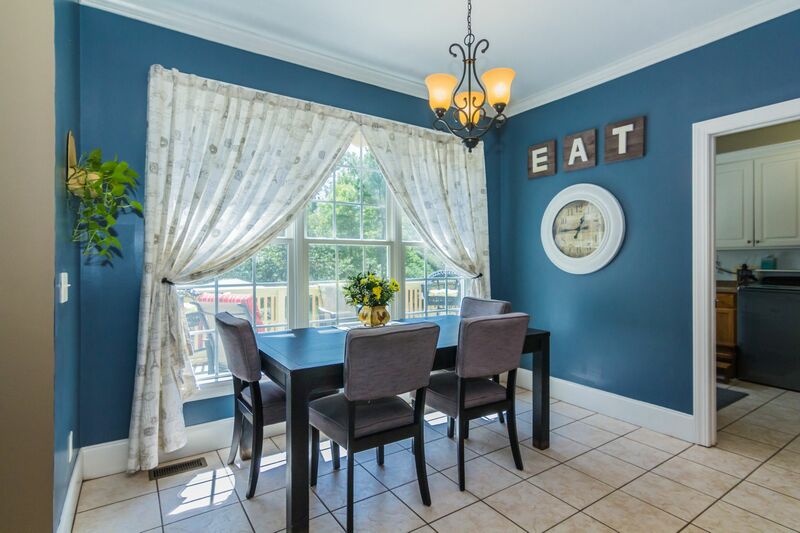 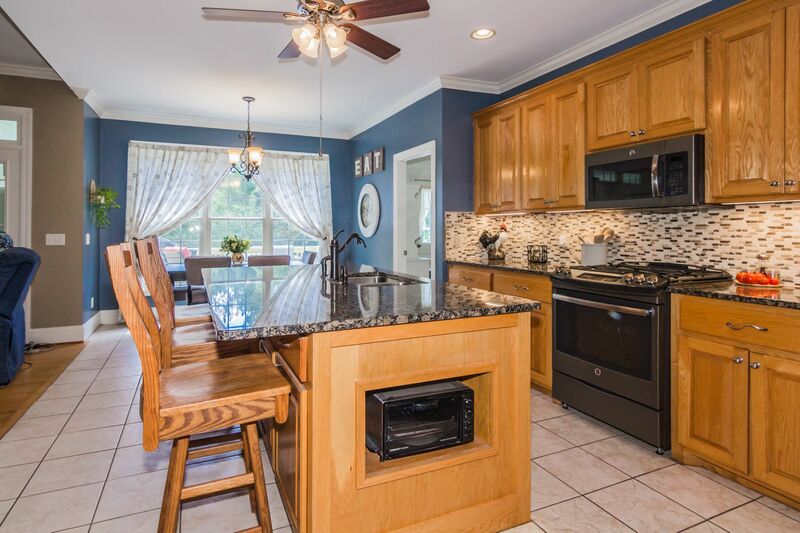 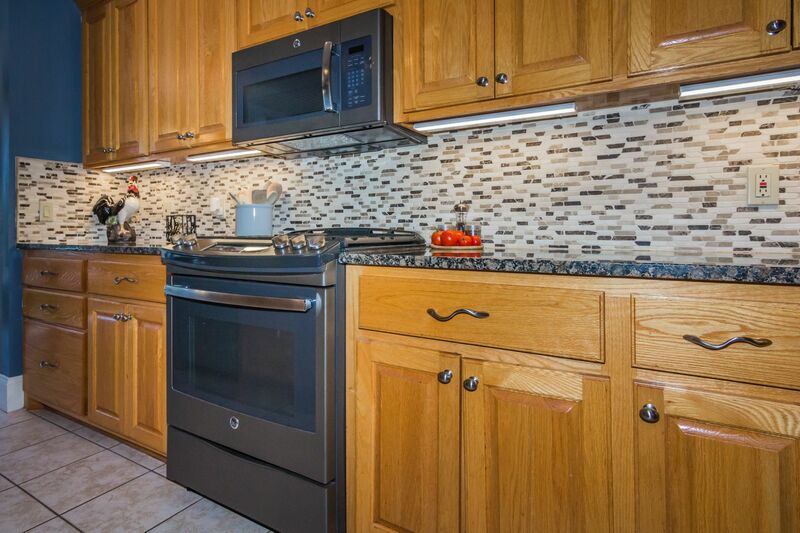 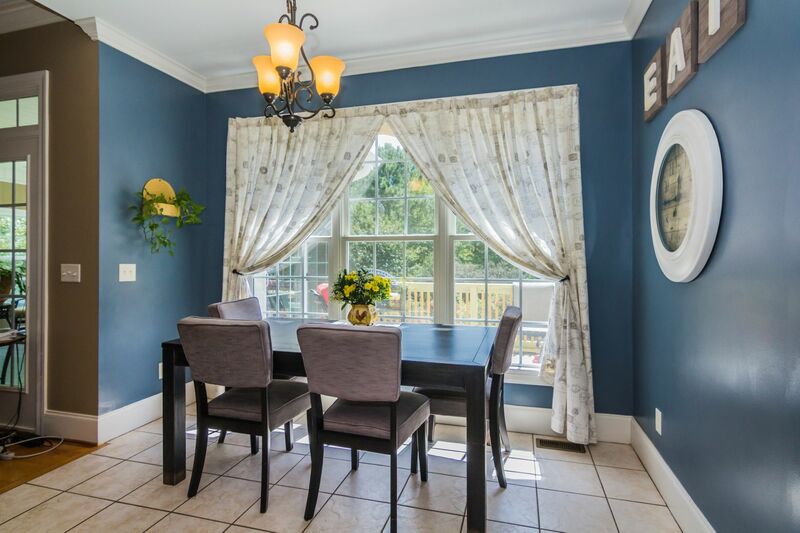 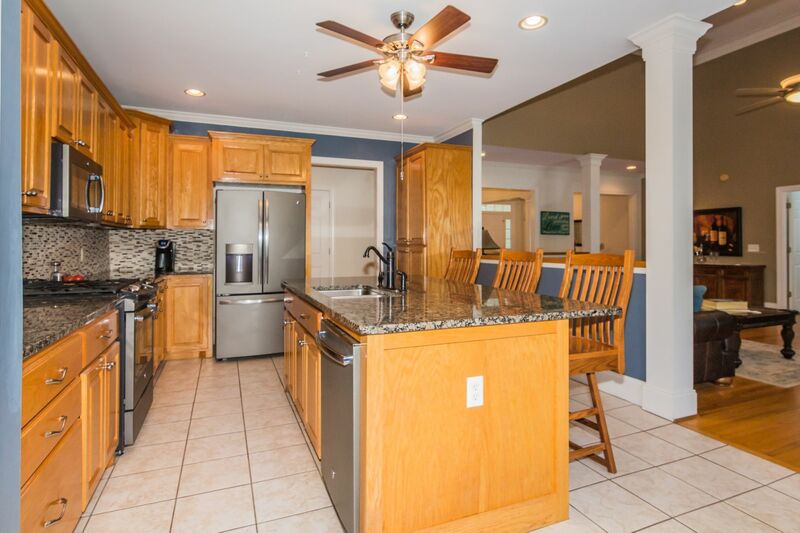 The house is an open floor concept design with large open kitchen with high ceilings super-size island & eat in area , living area with high vaulted ceilings, all new windows in sun room porch. 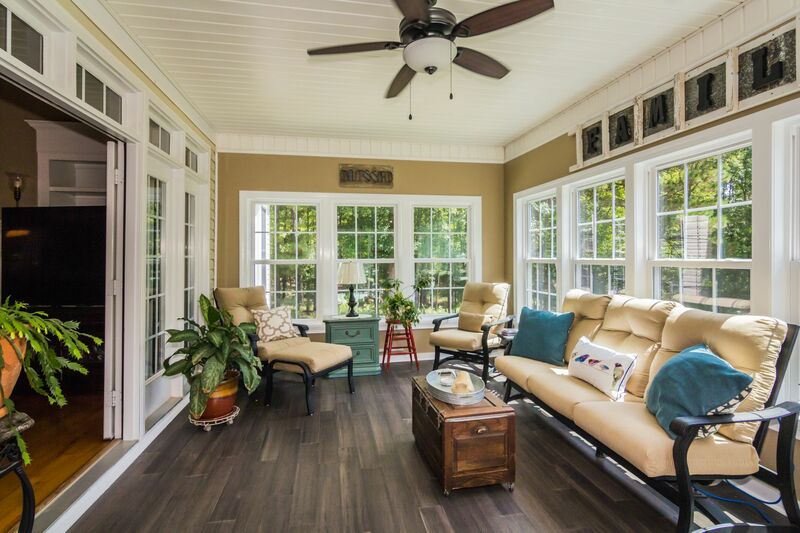 Deck off the sun room with large awning over deck. 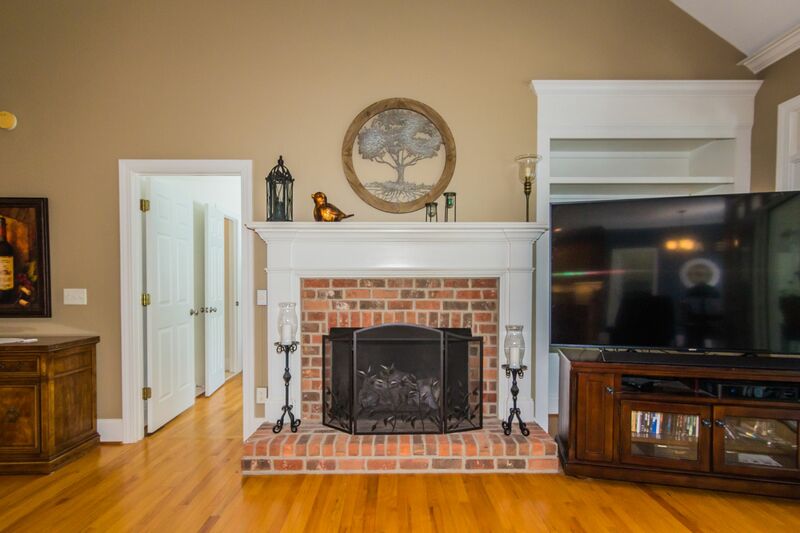 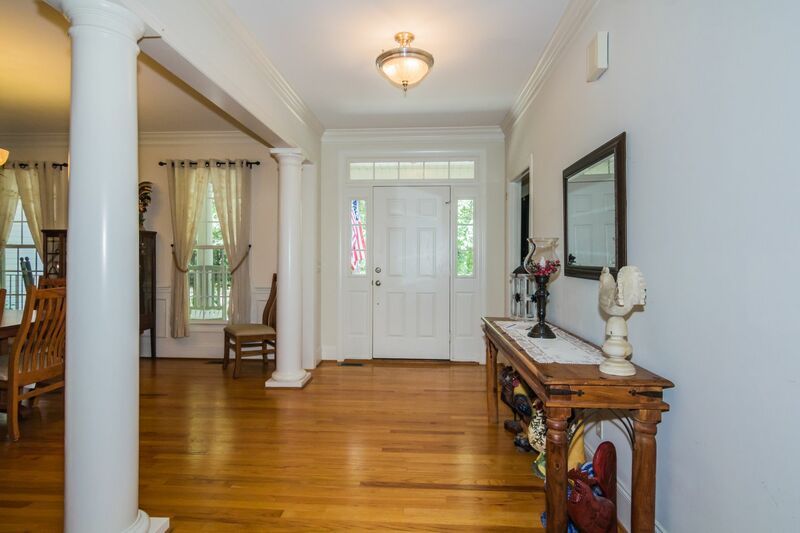 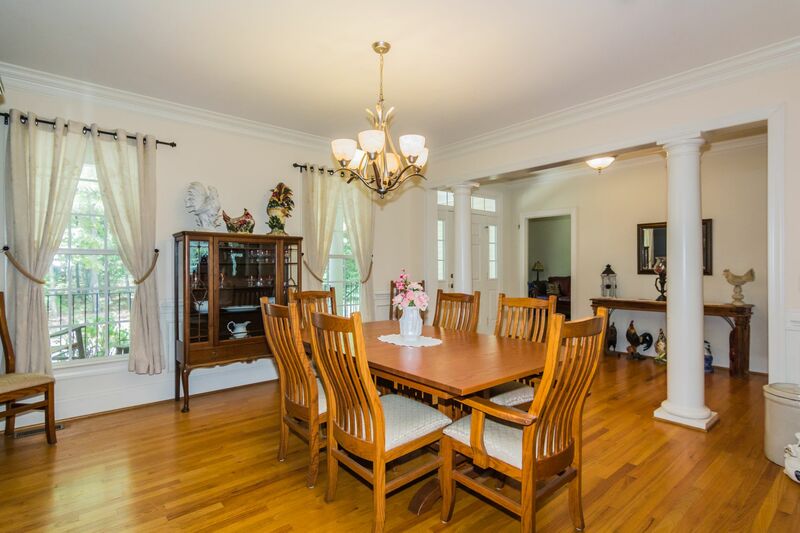 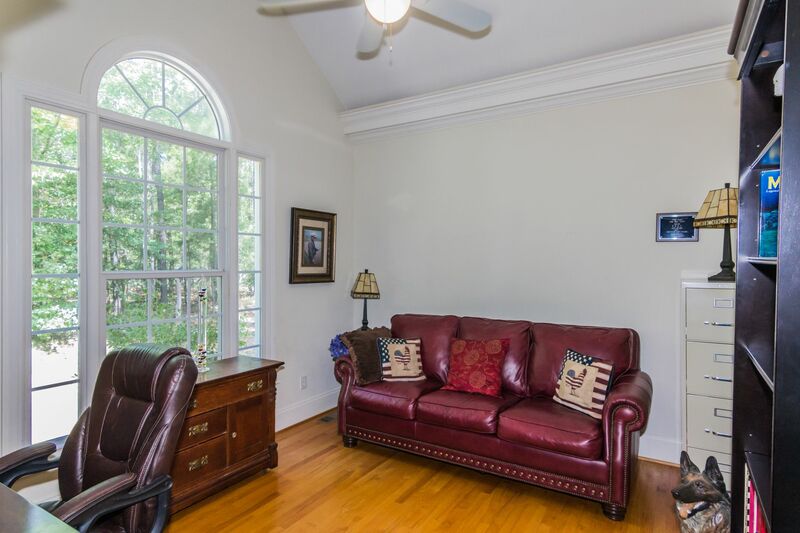 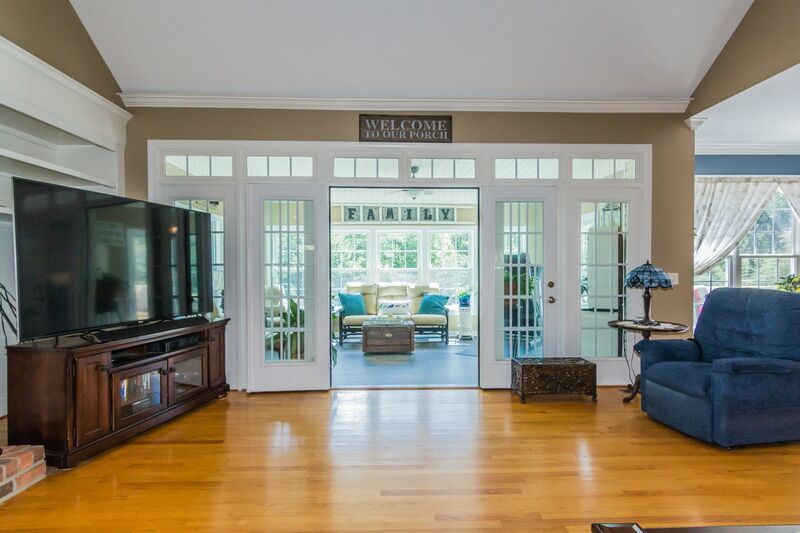 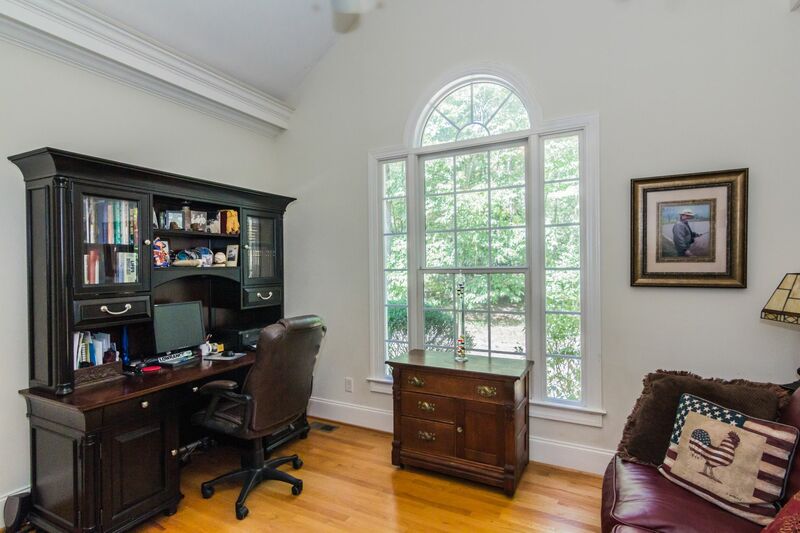 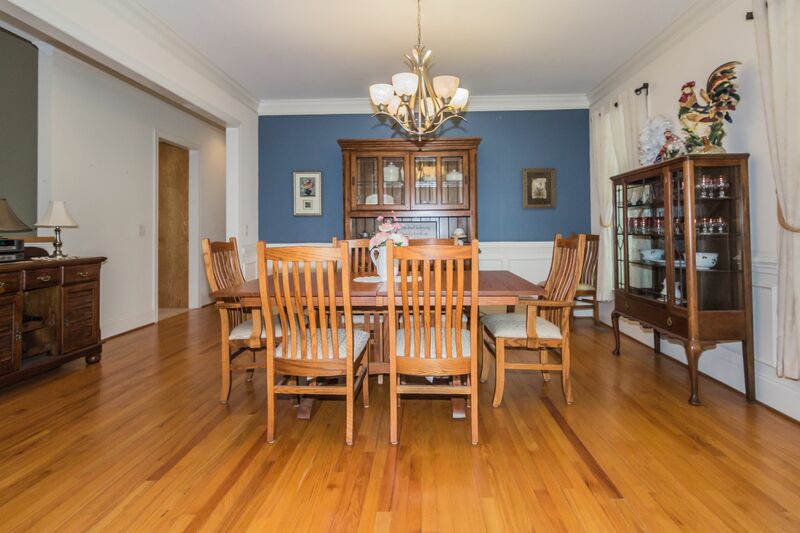 Big foyer with open formal dining room with hardwoods thru out 1st floor next to formal sitting room or office with large picture window. 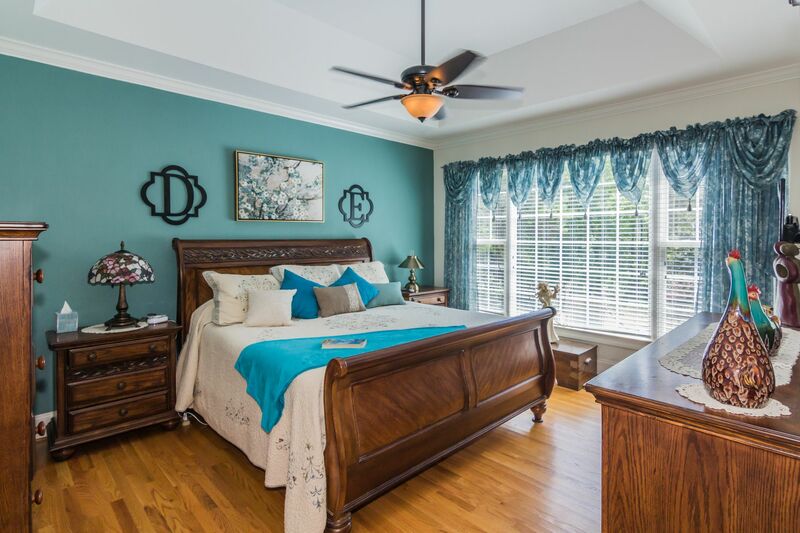 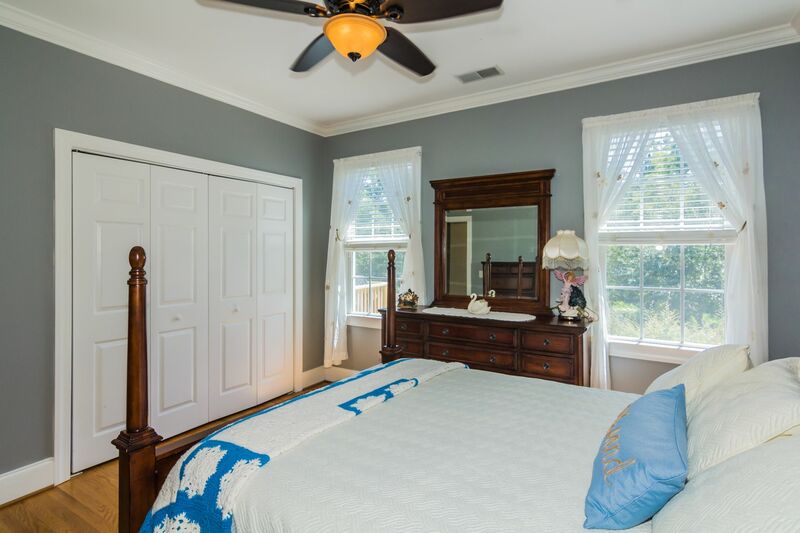 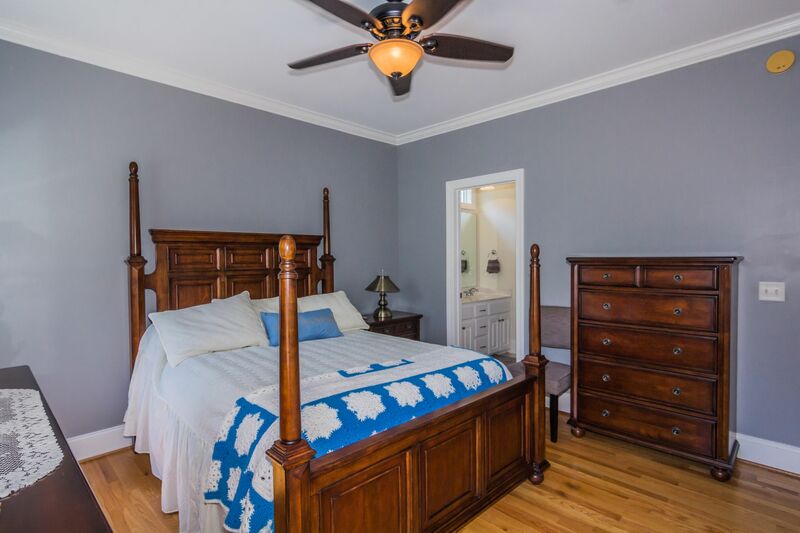 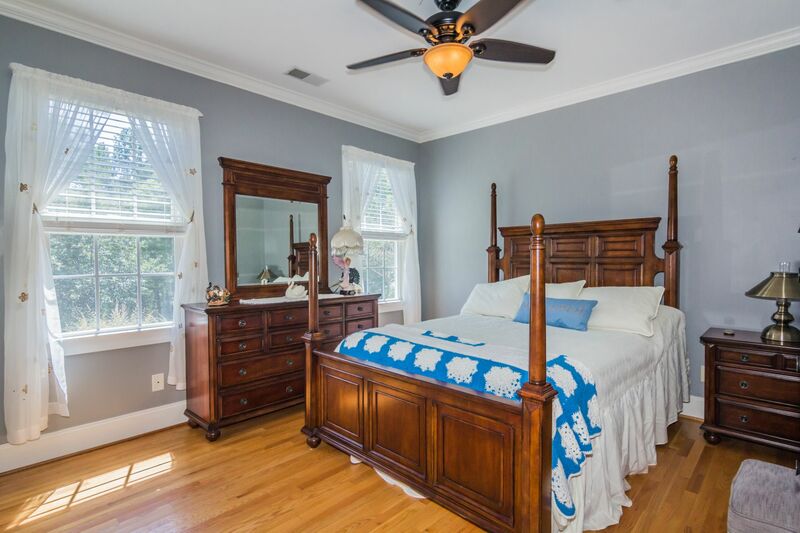 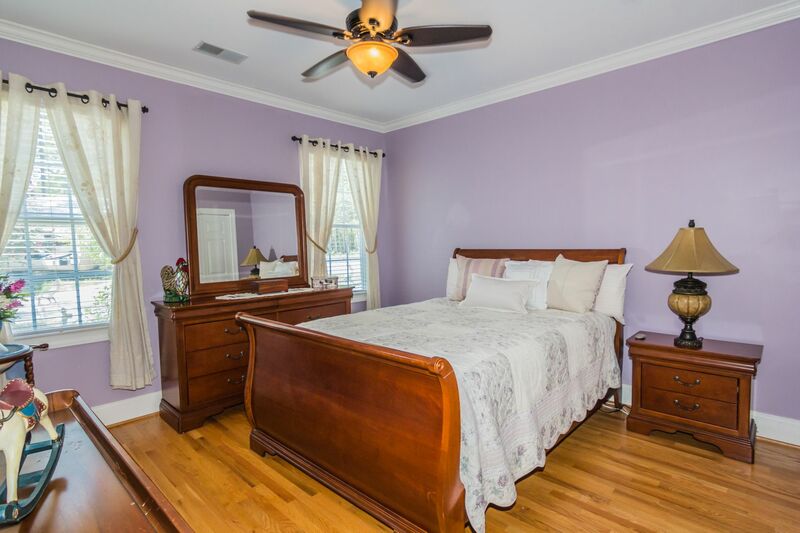 Large deluxe master suite bedroom has his & her closets jacuzzi & large shower with new his & her new granite vanity and new sinks. 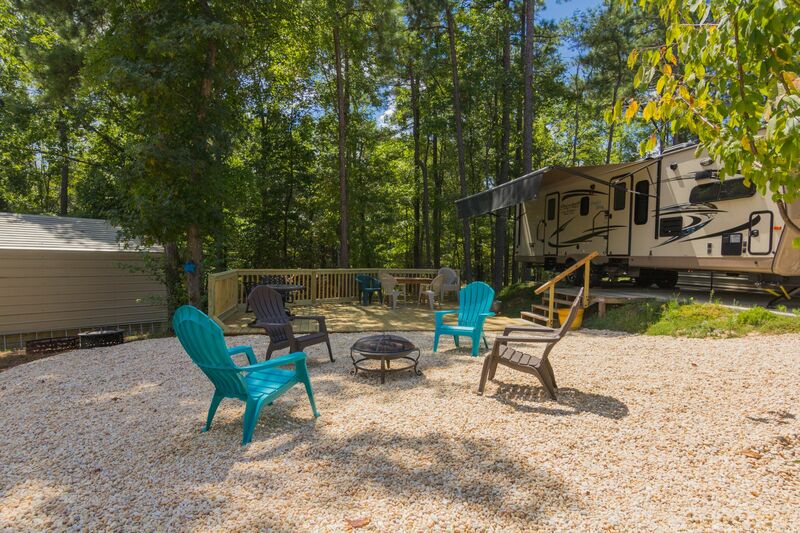 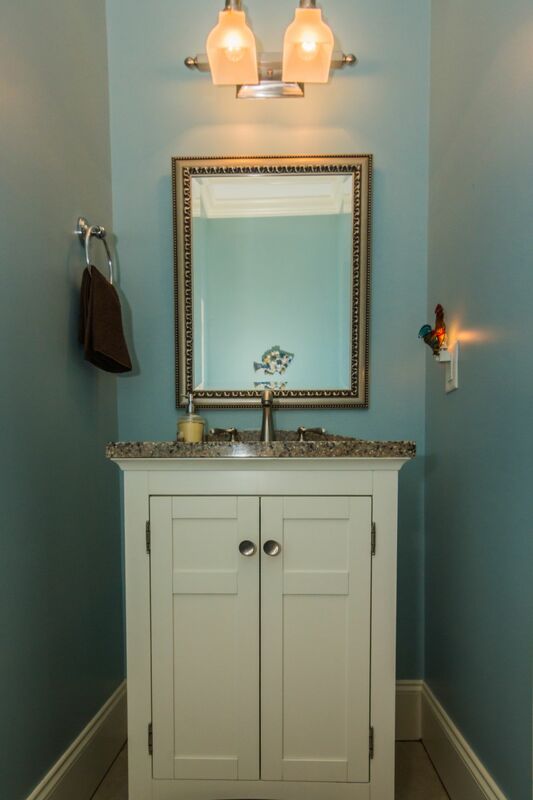 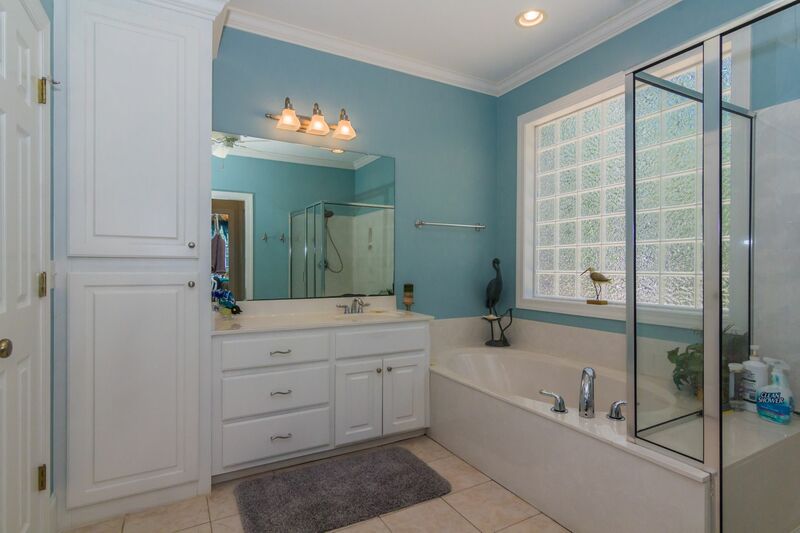 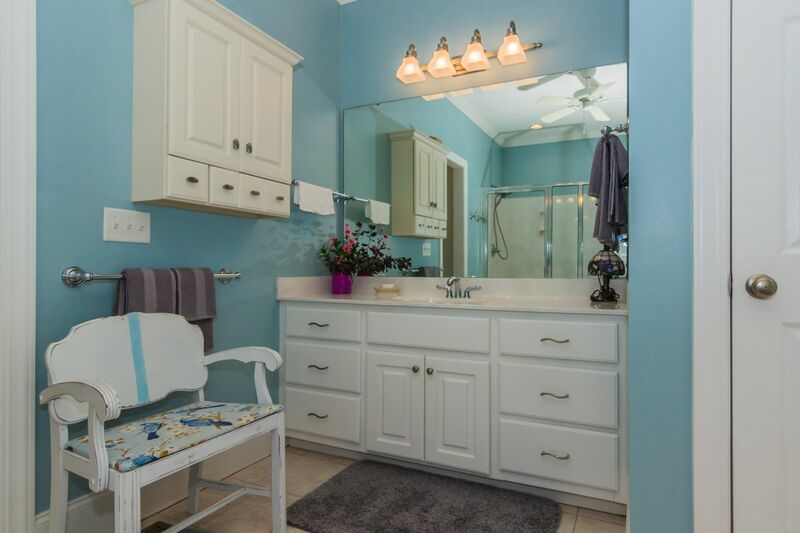 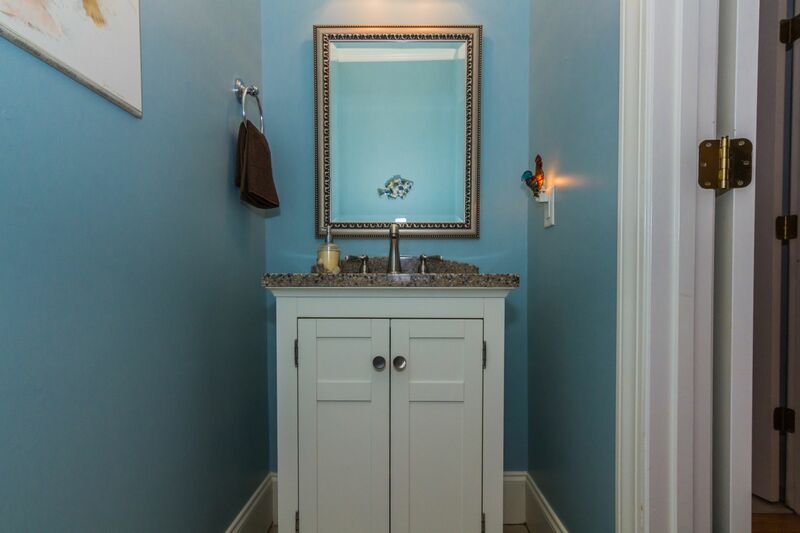 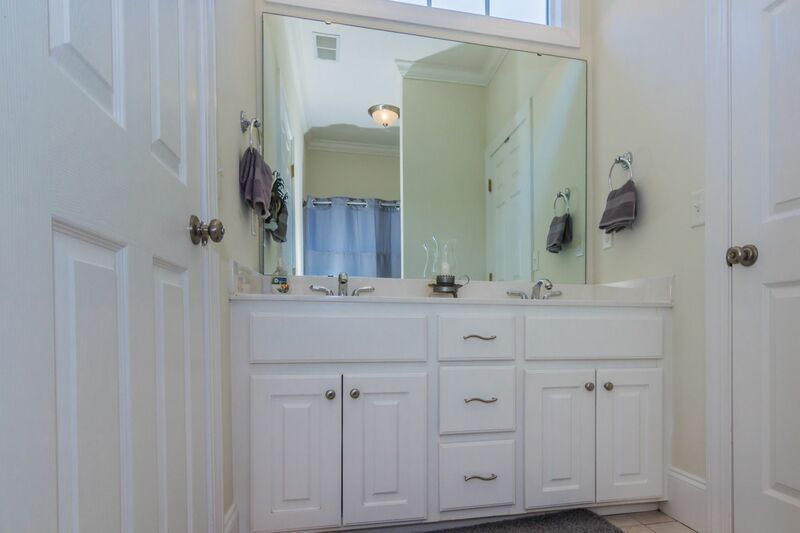 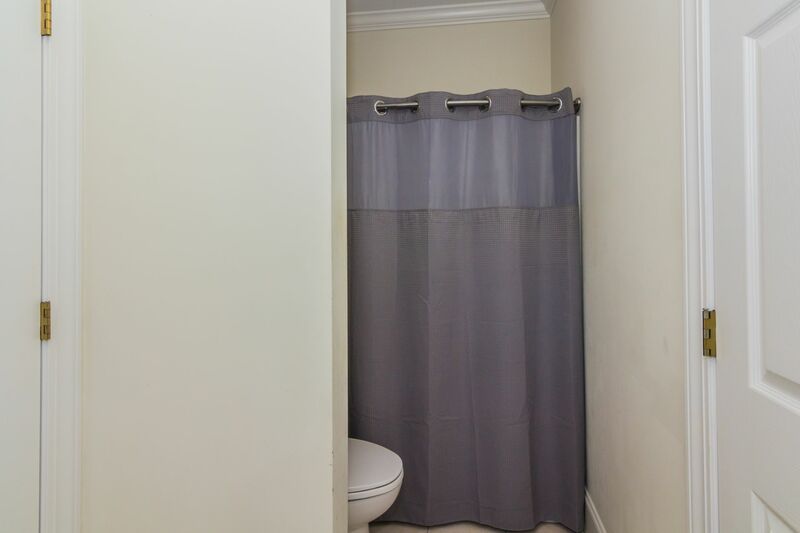 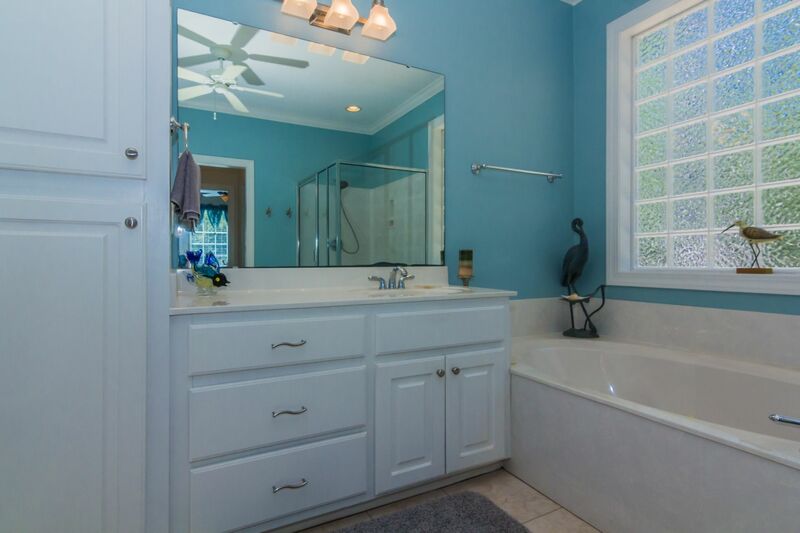 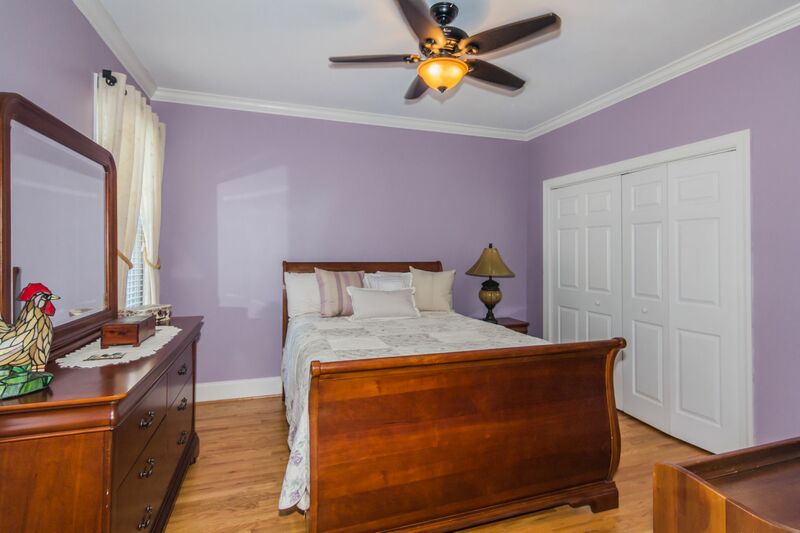 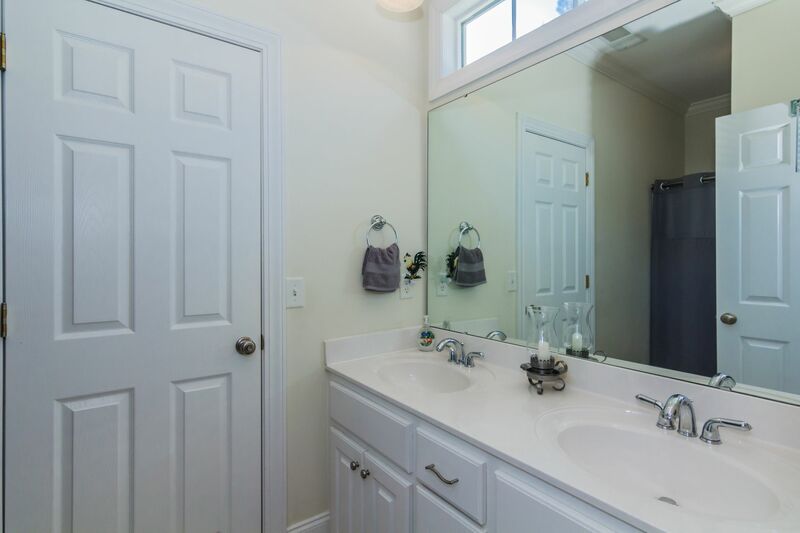 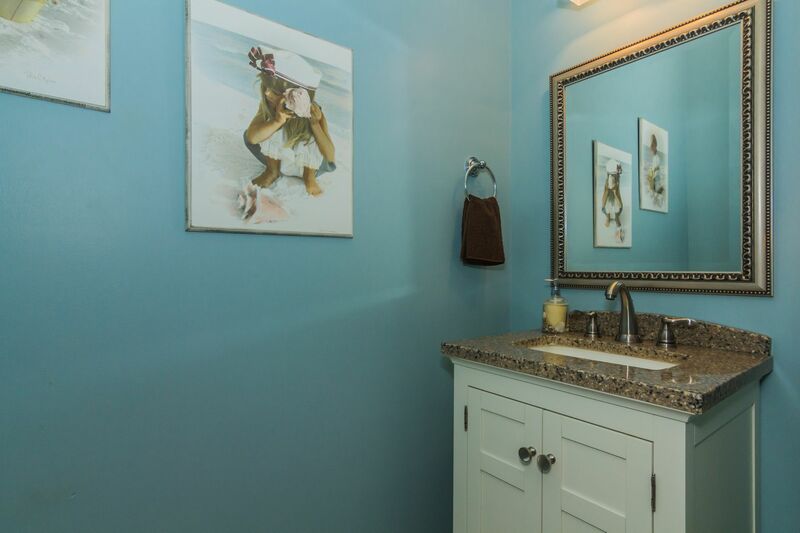 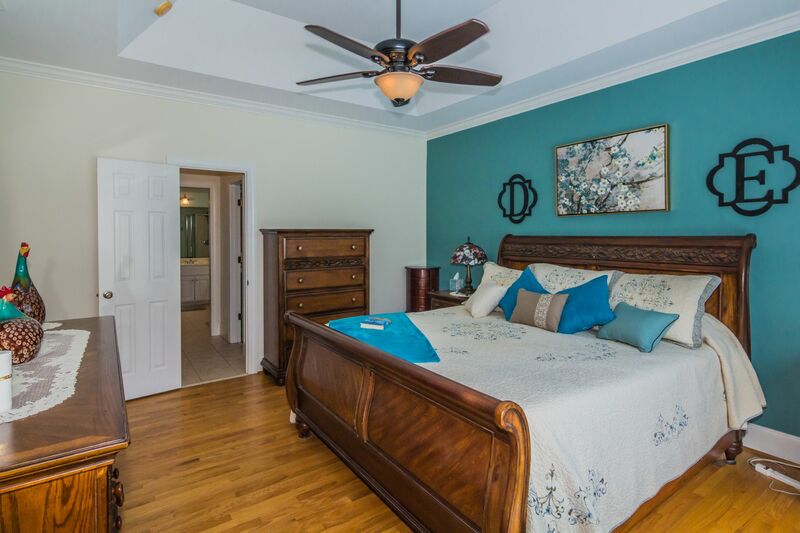 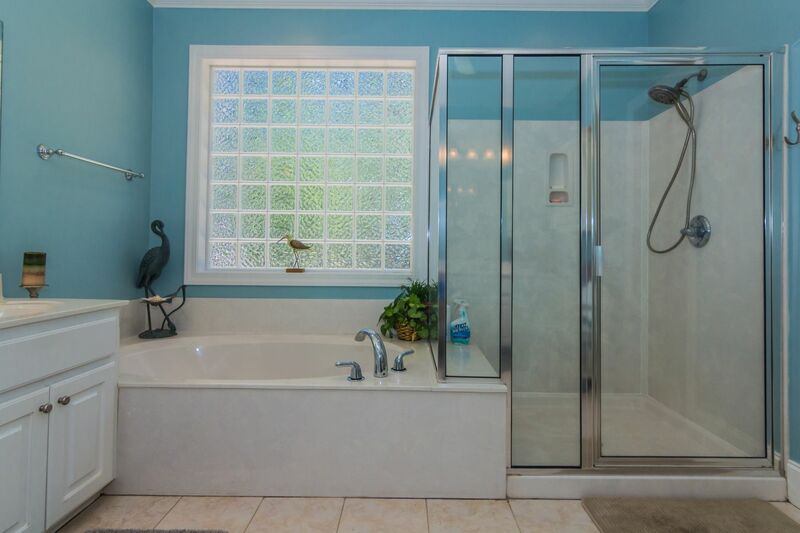 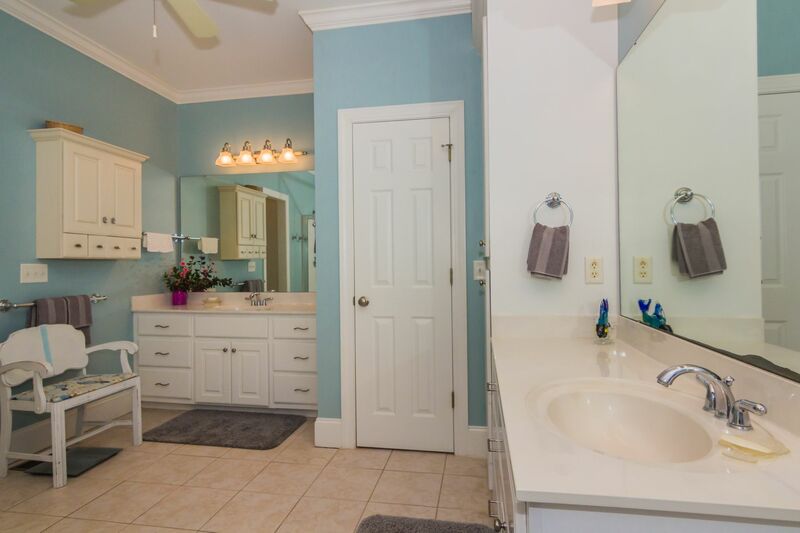 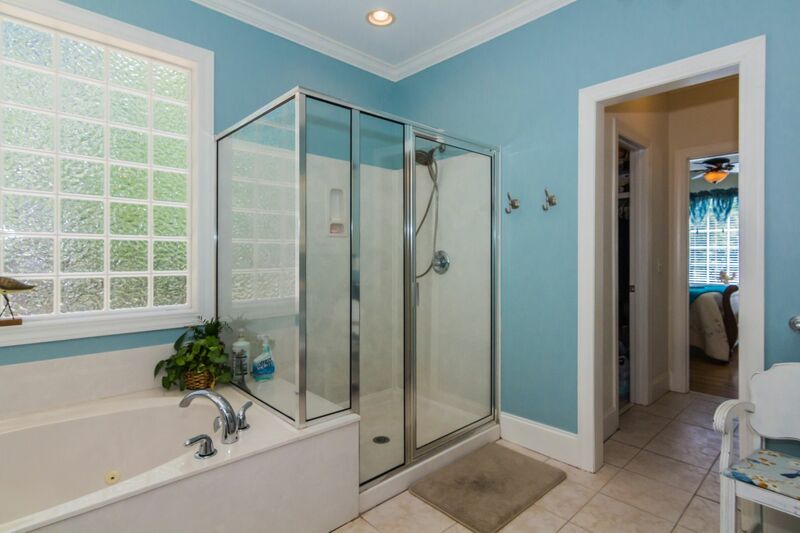 Split floor plan has 2 more bedrooms down with jack & jill bath & dual vanity tub shower. 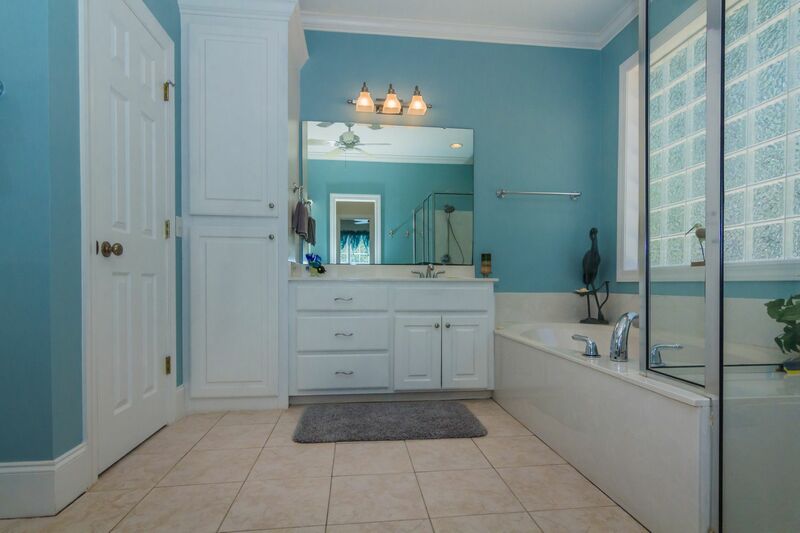 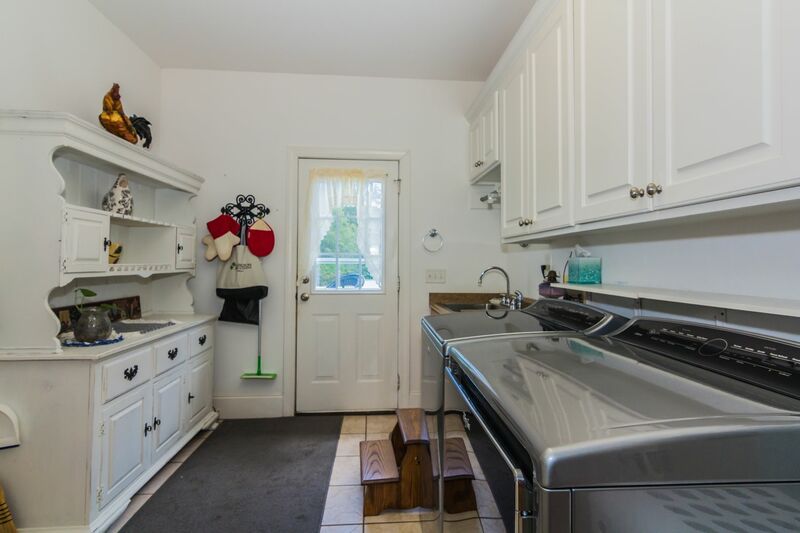 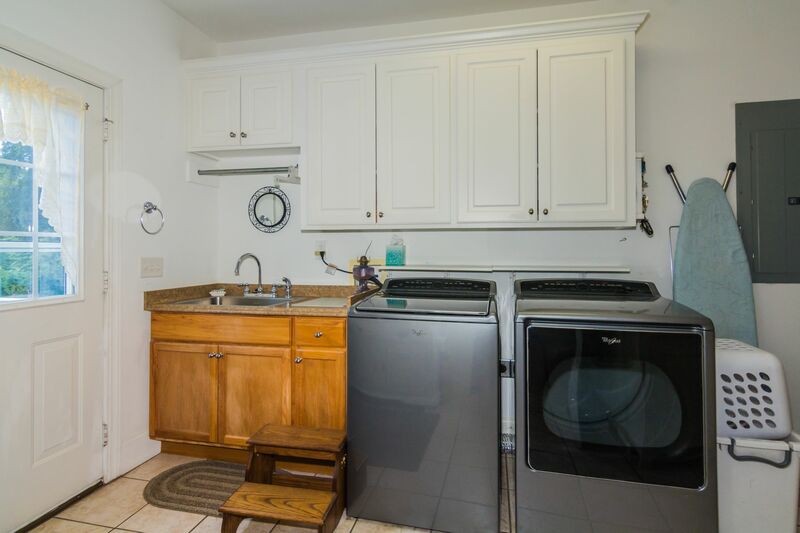 Half bath in hallway off the laundry room and large 2 car garage area. 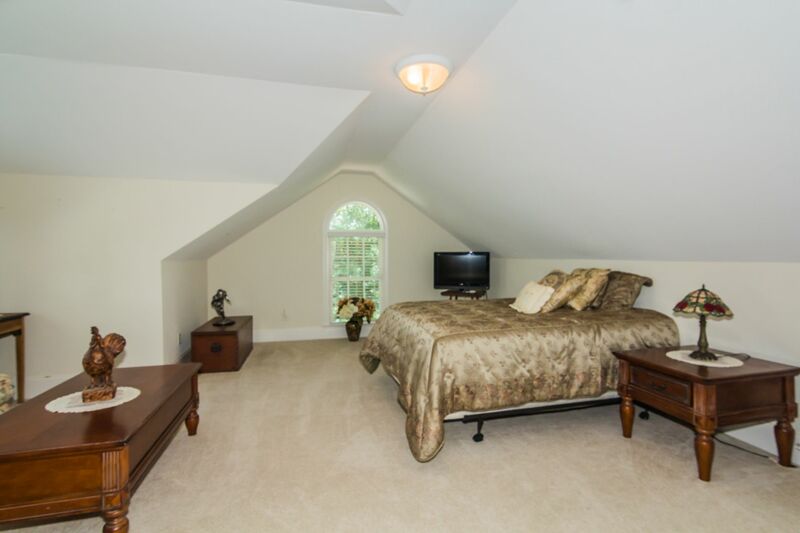 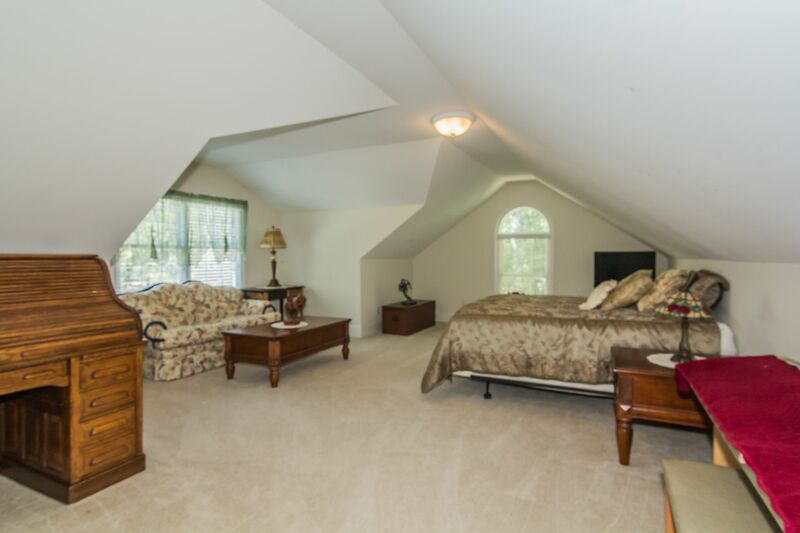 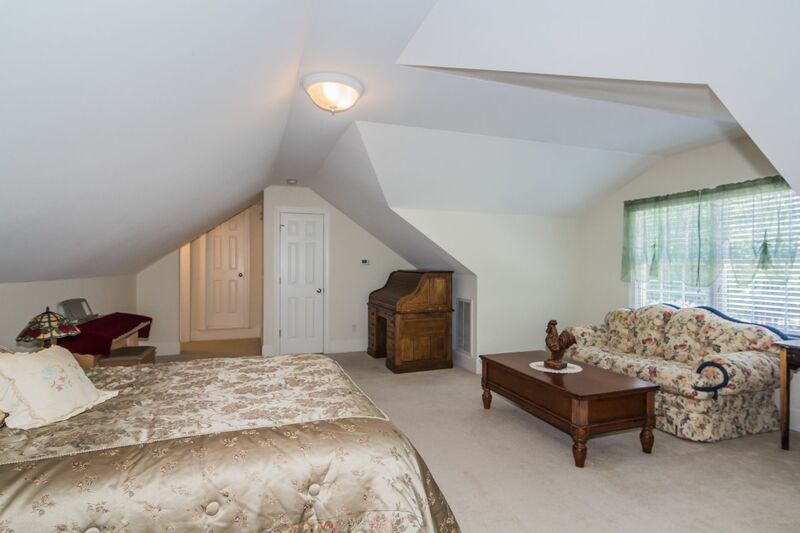 Large bonus room upstairs. 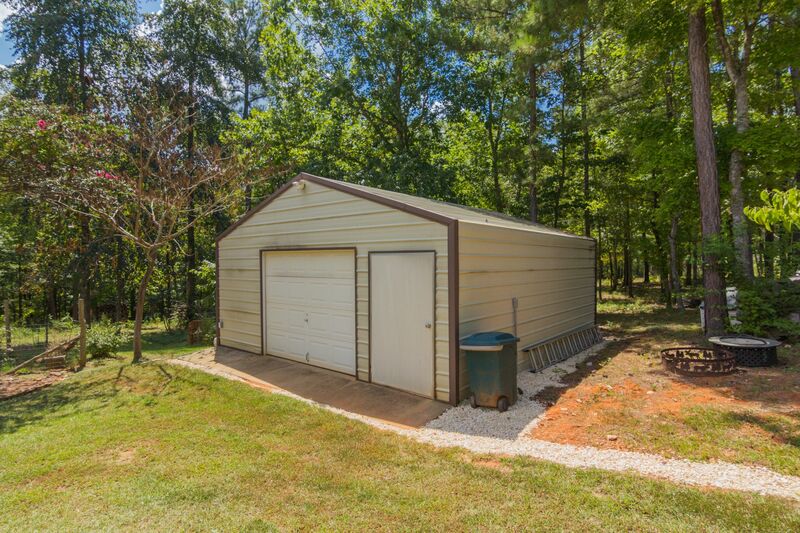 Another work shop shed for storage. 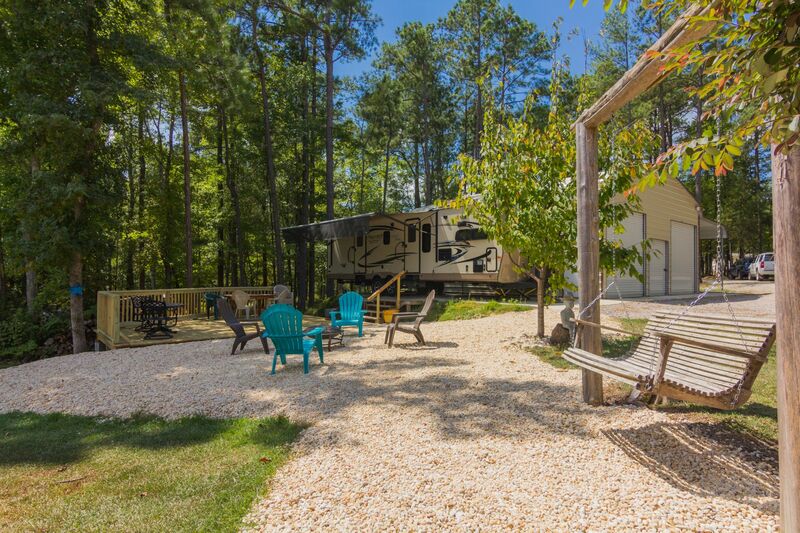 Both out buildings have electric 30 amp outlets for trailer parking. 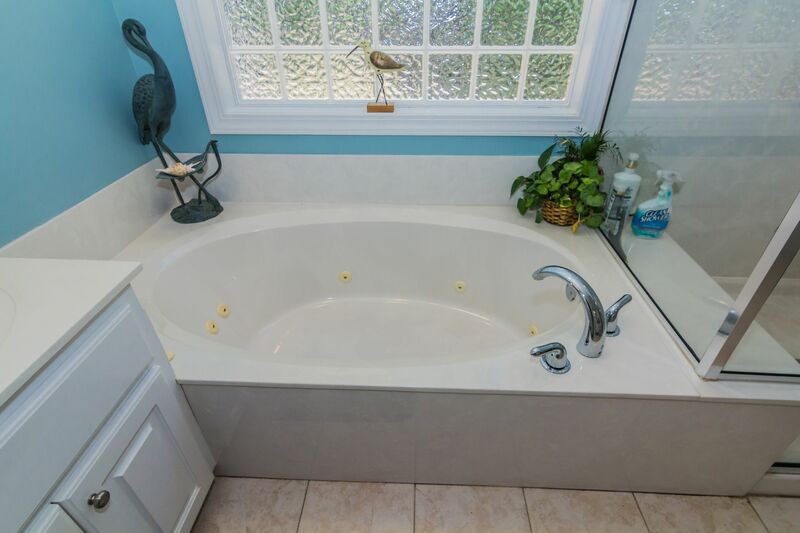 House has new French drain system for a dry crawl space this home is a must see!